Kyle Busch scored his 200th NASCAR national series win when he took the checkered flag in the Monster Energy Cup Series Auto Club 400 at Auto Club Speedway. Below is a look at some key numbers for Busch on his way to the milestone win. 1 – Made his NASCAR national series debut in the NASCAR Gander Outdoors Truck Series in 2001 at Indianapolis Raceway Park driving for Roush Fenway Racing with crew chief Jeff Campey – he started 23rd and finished ninth. 1 – Won his first NASCAR national series race in the NASCAR Xfinity Series on May 14, 2004 at Richmond Raceway driving for Hendrick Motorsports with crew chief Lance McGrew. He won the event from the pole position. 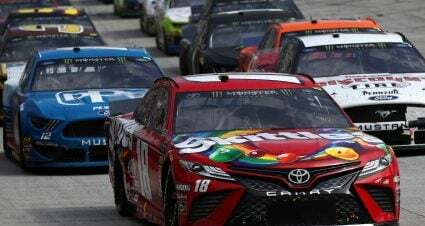 5 – Number of different car/truck owners Kyle Busch has won a NASCAR national series race for – Joe Gibbs (131 wins), Kyle Busch (37), Billy Ballew (16), Rick Hendrick (15) and Todd Braun (1). 10 – His 10th career NASCAR national series win came at Atlanta Motor Speedway in the NASCAR Gander Outdoors Truck Series on Oct. 29, 2005 driving the Billy Ballew Motorsports Chevrolet with crew chief Richie Wauters. 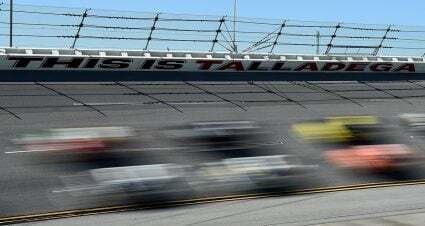 12 – Number of NASCAR national series weekend sweeps Busch has accomplished; most recent ISM Raceway (2019). His 12 weekend sweeps are the most all-time. 13 – The most NASCAR national series wins by Kyle Busch in a single series (NASCAR Xfinity Series) in a single season (2010). 20 – His 20th career NASCAR national Series win came at ISM Raceway in the NASCAR Gander Outdoors Truck Series on Nov. 9, 2007 driving the Billy Ballew Motorsports Chevrolet with crew chief Richie Wauters. 24 – Number of different crew chiefs Kyle Busch has taken to Victory Lane with NASCAR national series win. 24 – The most NASCAR national series wins Kyle Busch has won in a single season (2010: 3 MENCS, 13 NXS and 8 NGOTS). 25 – Number of NASCAR national series starts before his first win. 40 – His 40th career NASCAR national series win came at Dover International Speedway in the NASCAR Xfinity Series on Sept. 20, 2008 driving a Joe Gibbs Racing Toyota with crew chief Joel Weidman. 50 – His 50th career NASCAR national series win came at Richmond Raceway in the Monster Energy NASCAR Cup Series on May 2, 2009 driving for Joe Gibbs Racing with crew chief Steve Addington. 53 – Number of Monster Energy NASCAR Cup Series wins in his career. 53 – Number of NASCAR Gander Outdoors Truck Series wins in his career. 59 – Number of NASCAR national series races he won from the pole position – second-most to Richard Petty’s 61. 60 – His 60th career NASCAR national series win came at Texas Motor Speedway in the NASCAR Gander Outdoors Truck Series on Nov. 6, 2009 driving the Billy Ballew Motorsports Toyota with crew chief Richie Wauters. 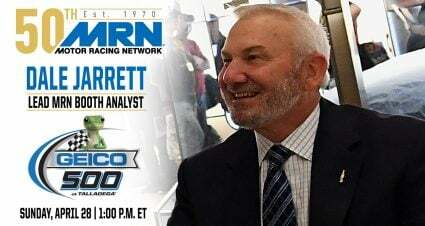 70 – His 70th career NASCAR national series win came at Charlotte Motor Speedway in the NASCAR Gander Outdoors Truck Series on May 21, 2010 driving his own Kyle Busch Motorsports Toyota with crew chief Eric Phillips. 80 – His 80th career NASCAR national series win came at New Hampshire Motor Speedway in the NASCAR Gander Outdoors Truck Series on Sept. 18, 2010 driving his own Kyle Busch Motorsports Toyota with crew chief Eric Phillips. 90 – His 90th career NASCAR national series win came at Bristol Motor Speedway in the Monster Energy NASCAR Cup Series on March 20, 2011 driving a Joe Gibbs Racing Toyota with crew chief Dave Rogers. 94 – Number of NASCAR Xfinity Series wins in his career. 100 – His 100th career NASCAR national series win came at New Hampshire Motor Speedway in the NASCAR Xfinity Series on July 16, 2011 driving a Joe Gibbs Racing Toyota with crew chief Jason Ratcliff. 110 – His 110th career NASCAR national series win came at Texas Motor Speedway in the NASCAR Xfinity Series on April 12, 2013 driving a Joe Gibbs Racing Toyota with crew chief Adam Stevens. 120 – His 120th career NASCAR national series win came at Bristol Motor Speedway in the NASCAR Xfinity Series on August 23, 2013 driving a Joe Gibbs Racing Toyota with crew chief Adam Stevens. 130 – His 130th career NASCAR national series win came at Auto Club Speedway in the Monster Energy NASCAR Cup Series on March 23, 2014 driving a Joe Gibbs Racing Toyota with crew chief Dave Rogers. 140 – His 140th career NASCAR national series win came at Texas Motor Speedway in the NASCAR Gander Outdoors Truck Series on October 31, 2014 driving his own Kyle Busch Motorsports Toyota with crew chief Eric Phillips. 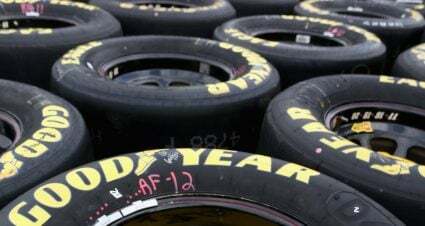 147 – Number of starts he has made in the NASCAR Gander Outdoors Truck Series. 150 – His 150th career NASCAR national series win came at Bristol Motor Speedway in the NASCAR Xfinity Series on August 21, 2015 driving a Joe Gibbs Racing Toyota with crew chief Chris Gayle. 160 – His 160th career NASCAR national series win came at Texas Motor Speedway in the NASCAR Xfinity Series on April 8, 2016 driving a Joe Gibbs Racing Toyota with crew chief Chris Gayle. 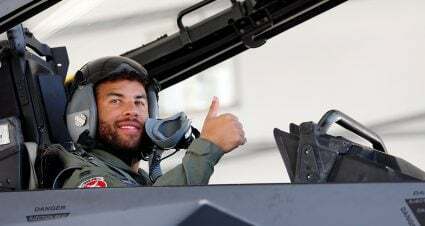 170 – His 170th career NASCAR national series win came at ISM Raceway in the NASCAR Xfinity Series on November 12, 2016 driving a Joe Gibbs Racing Toyota with crew chief Chris Gayle. 180 – His 180th career NASCAR national series win came at Bristol Motor Speedway in the Monster Energy NASCAR Cup Series on August 19, 2017 driving a Joe Gibbs Racing Toyota with crew chief Adam Stevens. 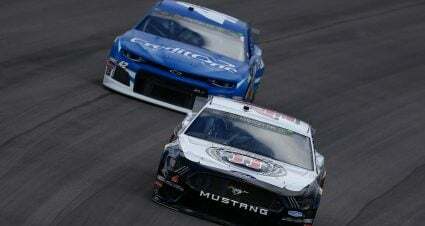 190 – His 190th career NASCAR national series win came at Chicagoland Speedway in the Monster Energy NASCAR Cup Series on July 1, 2018 driving a Joe Gibbs Racing Toyota with crew chief Adam Stevens. 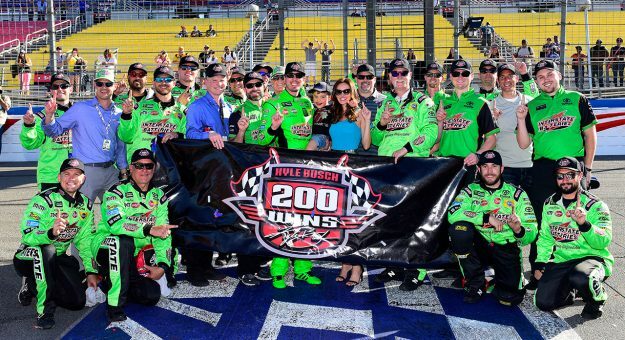 200 – His 200th career NASCAR national series win came at Auto Club Speedway in the Monster Energy NASCAR Cup Series on March 17, 2019 driving a Joe Gibbs Racing Toyota with crew chief Adam Stevens. 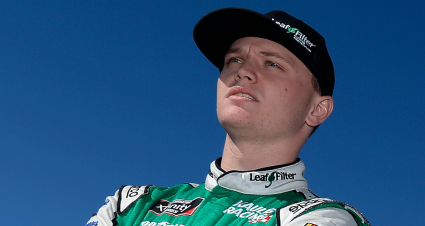 348 – Number of starts he has made in the NASCAR Xfinity Series. 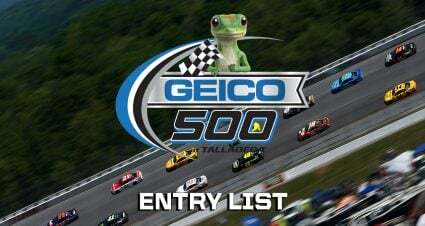 503 – Number of starts he has made in the Monster Energy NASCAR Cup Series.